The ESE pod (Easy Serving Espresso) is a very popular espresso pod, also known as POD, hard pod or espresso pod. Designed to be used with the majority of espresso machines, they let you make a delicious espresso, both creamy and smooth, effortlessly. Choose among the most popular brands : Illy, Lucaffè, Mokador Castellari, Caffè Vergnano or our own MaxiCoffee selections tested and approved by both our experts and customers! Pellini Top is an exceptional, naturally smooth coffee with low caffeine content. Mamma Lucia is a very full-bodied (strong) ESE pod coffee, for those who love intense tastes! This DEK coffee by COSMAI, which comes in a pack of 150 ESE pods, is a special bar decaffeinated coffee. 3 variable origins: Brazil, Columbia, Costa Rica, etc. Discover the Mokador ESE pods with these 80 pods roasted in Italy. Compatible with most espresso machines. Mr Exclusiv 100% Arabica is quite probably the coffee which Luca Venturelli spent the most time focussing on: a sweet Italian delight. Traditional recipe from Italian bars! Enjoy these 18 Classic ESE pods by Caffè Vergnano. This coffee will appeal to those who like their espresso full-bodied! Taste these 18 ESE 100% Arabica pods by Caffè Vergnano: 100% Arabica coffee that is both creamy and aromatic. Enjoy these 18 ESE Espresso pods from Caffè Vergnano: a delicate, aromatic and balanced blend of Arabica/Robusta fit for the best cafés. 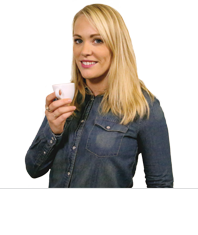 Lucaffé Classic ESE coffee pods are probably the best known in Italy: renowned for having just the right amount of body! Find the taste of Italian coffee in these 150 Lucaffè decaffeinated ESE pods. This Italian-roasted coffee is decaffeinated! Free delivery. Enjoy these 150 ESE pods from the Cosmai brand. These coffee pods are individually packaged. 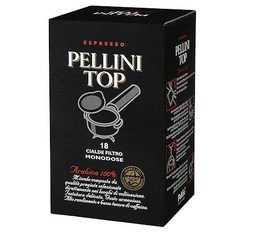 A pack of 25 Spressoin Intenso ESE pods. A blend of Arabica and Robusta that will charm lovers of intense coffee, rich in taste and with a long aftertaste. Spressoin is the ESE pod range from Vendin. Platina by Delta Cafés is an ESE coffee pod composed of Arabica and Robusta from the best origins. This blend offers a highly aromatic, balanced coffee. Chavena by Delta Cafés is an ESE coffee pod composed of Arabica and Robusta from the best origins. This blend offers a balanced, creamy coffee with lots of body.